The word engineering is defined as the application of mathematics, as well as scientific, economic, social and practical knowledge in order to invent, design, develop, maintain, research, solutions, and organizations. There are many branches in engineering. Aerospace Engineering is one of the streams of engineering. In this column we have provided complete information on aerospace engineering course details like eligibility, duration, admission, top colleges and much more. Aerospace Engineering is an undergraduate course under the disciplines of engineering. 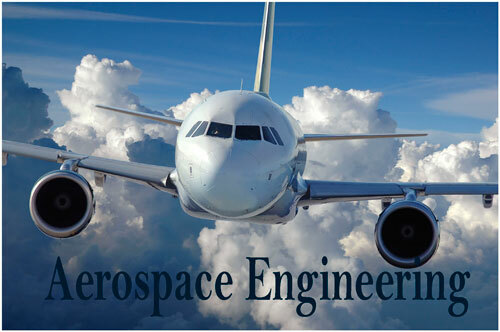 AerospaceEngineering is mainly concerned with design, construction, and science of aircraft and spacecraft. Particularly aerospace engineering is astronautics branch and familiarly referred as rocket science. Aerospace engineering deals with design, manufacturing, functioning and maintenance of airborne vehicles like space crafts, aircrafts, missiles and helicopters. This course covers both aeronautical and astronautical engineering. The eligibility to pursue this course is minimum pass percentage of 60% in 10+2 with mathematics, physics and chemistry as main subjects in intermediate or in 12th standard in case of central schools. As it is an under graduate degree program the time period to complete this course is 4years which is divided into 8semesters. Generally, admission of this course is based on the merit list by seeing the marks of the candidates in the entrance test conducted by the government under education department. In some reputed colleges and deemed universities, the separate entrance test is conducted by the respective colleges and seat is allocated to candidates based on merit list. The AE Course involves both theory and practical classes. After completion of under graduation in Aerospace Engineering, one can go for their higher studies and can pursue their master’s degree. One can choose job types like design engineer, sensor engineer, development engineer, team leader, technical publication engineer, system engineers-aerospace, manufacturing engineer, aerospace scientists, product sales engineer, quality manager, field service technician aircraft production managers etc. Following are respresents the employment areas for Aerospace Enginering. In India, the average salary for a fresher from IITs is maximum 15lakhs per year. An aerospace engineer graduate fresher from a recognised college or university is minimum 6lakhs per year.